We provide a WHMCS integration module for all our registered users to integrate licensing into their provisioning workflow. There are two requirements to use our WHMCS integration. Get an API token. Please open up a support ticket to us to get one. Keep enough credit to provision licenses. The system allows new licenses, only if you have enough credit balance in your account. For now we support only cPanel products. More products will be added soon. 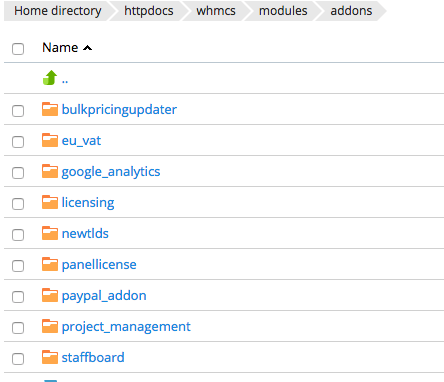 To provision new license, you need a product entry in your WHMCS and set module setting to "panellicense". Please follow these steps. 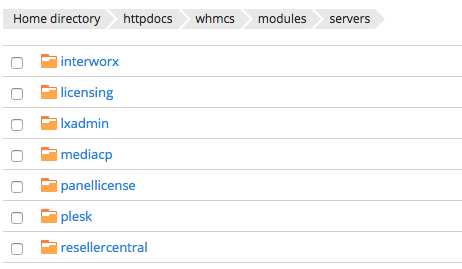 Download "WHMCS Server Module" from the downloads page at your control panel. Unzip and upload it to your WHMCS, under "modules/servers". On the module settings tab, choose "panellicense" as the module name, paste your API token and choose corresponding product from the dropdown menu. 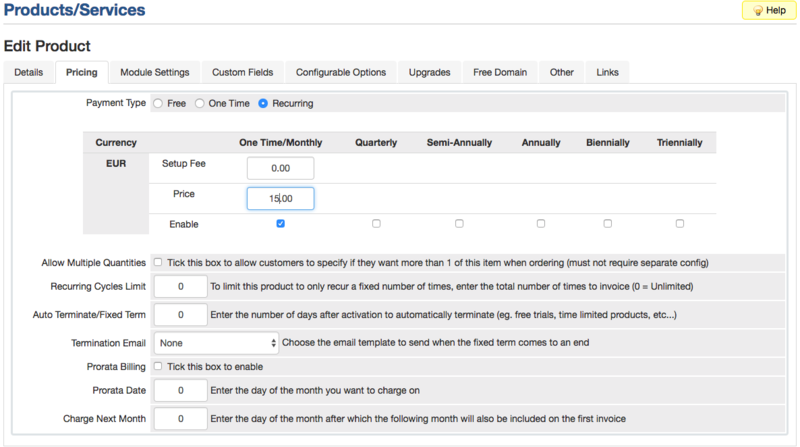 Set pricing and term to corresponding term of chosen product. Now you can order this product on your system and all your orders will be processed automatically, as long as you have enough credit on your account. WHMCS addon module helps you to manage your licenses through your WHMCS installation for admin purposes. 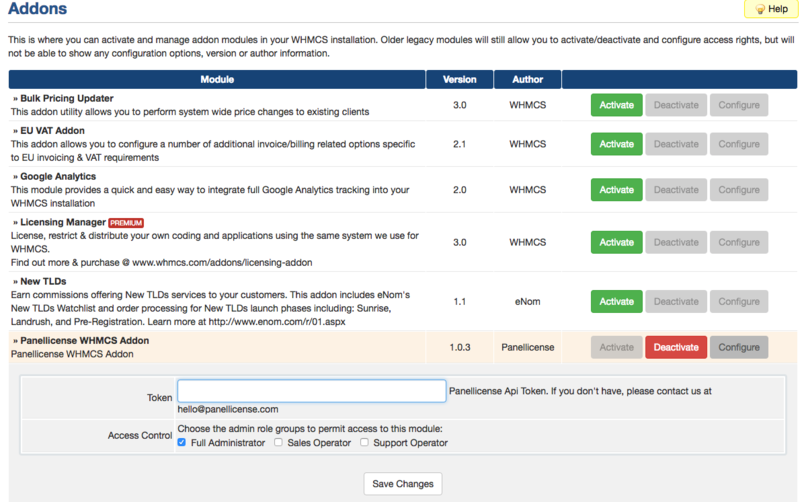 Download "WHMCS Addon Module" from the download page. Upload it to "modules/addons" on your server. Activate it at addons settings page. You need to set your API token on configuration phase. Visit "Addons>Panellicense Addon" page to manage your licenses. Please contact us for any questions you have.